Guitarists Warren Haynes and Derek Trucks have announced that 2014 will be their final year as members of the Allman Brothers Band. The t wo have been members for 25 and 15 years, respectively. 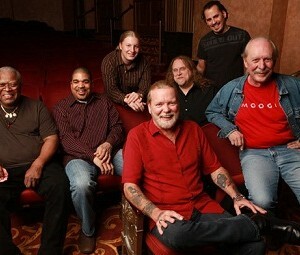 “I got the call to join the Allman Brothers while on tour with my own band at the age of 19,” added Trucks. “It was out of the blue and felt surreal. I leapt at the chance. This was the music that I had cut my teeth on and it was the distinctive sound of Duane’s guitar that inspired me to pick up the instrument in the first place. I didn’t know how long it would last, only that I would let the music lead me and teach me. While I’ve shared many magical moments on stage with the Allman Brothers Band in the last decade plus, I feel that my solo project and the Tedeschi Trucks Band is where my future and creative energy lies. It’s a difficult decision to make, and I don’t make it lightly. 2014 marks the ABB’s 45th year, and among its tour dates is a a now-customary two-week stint at New York’s Beacon Theater, in March.